Our house is over 100 years old. It was sad and neglected – inside and out. 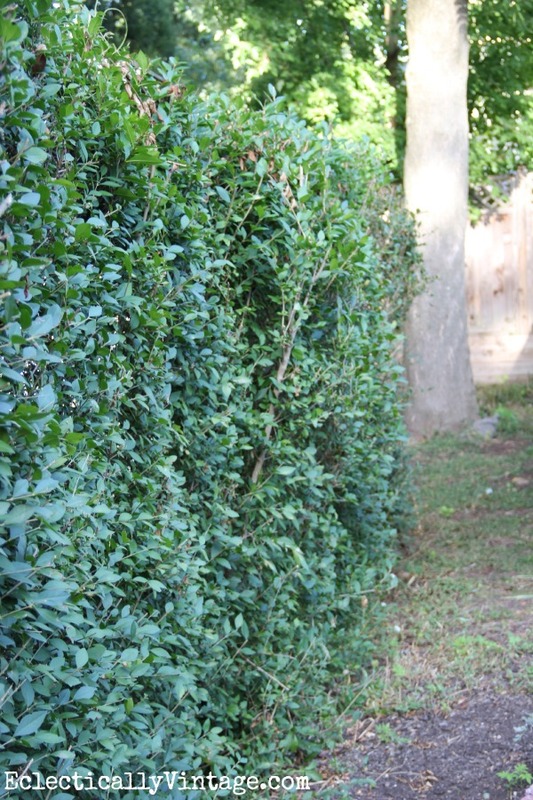 Our privet hedge was a mess five years ago. Leggy and bare at the bottom and over grown at the top. It does provide privacy from our neighbor and is the perfect size for the narrow area so it’s staying. An annual haircut keeps it full and lush. A few months ago, I was happy to hop on a plane and head down to Ryboi Outdoors headquarters in South Carolina where I spent a couple of fun days touring their amazing facility and learning all about their products. 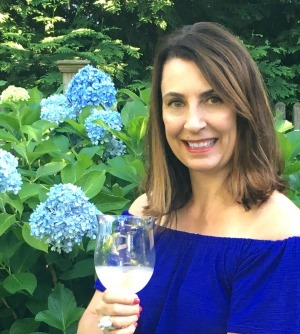 My honest opinion – Ryobi rocks! 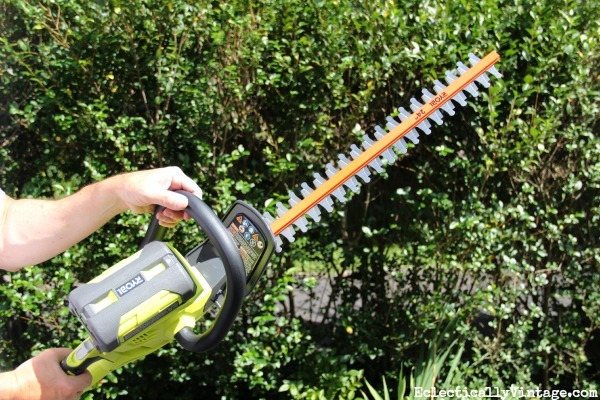 We broke out our Ryobi 40V hedge trimmer and I put my hubby to work (my arm was in a hot pink cast or I’d have done it myself – but who am I to complain when he does the grunt labor). I was actually jealous when he simply pressed a button and it roared to life – this thing is amazing. No cords to trip over, no searching for an outlet. It runs on a 40 volt rechargeable battery that pops in and out – easy! The best part, that same 40 volt battery is interchangeable with lots of other Ryobi power tools. 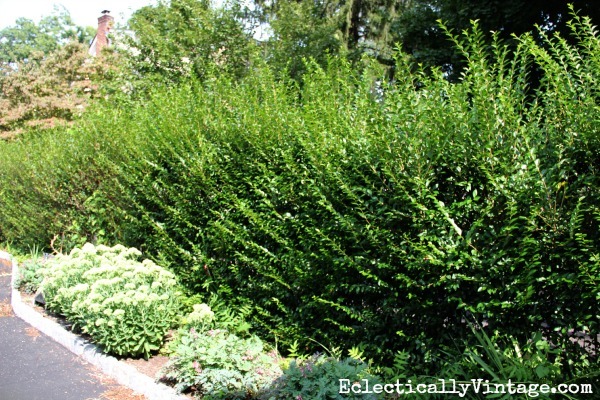 Usage: Trimming and shaping hedges and shrubbery. 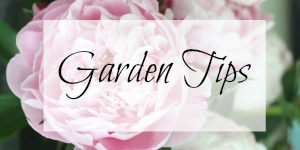 Do not raise trimmer above shoulder. Here she is after her day at the spa. Now there’s room for my perennials to flourish in front of the hedge. 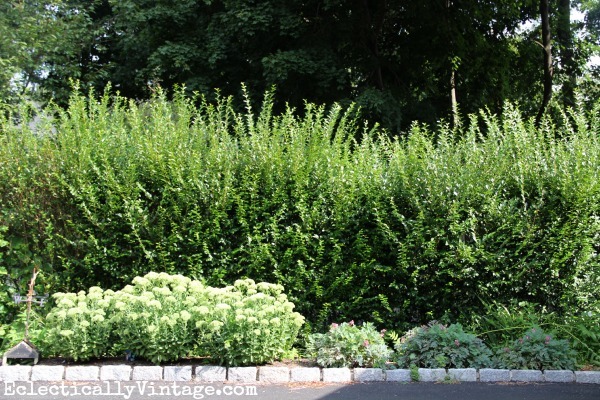 You can see that by trimming the top and taking care to get rid of overgrowth, more air can circulate near the lower part of the shrub making it nice and full. Now if I could just get my hubby to do laundry. I am happy to be a Ryobi brand ambassador because their products are amazing – I only speak the truth. Kelly, bless your heart! I hope you aren’t in too much pain, and that you are right handed! On the bright side, your nails look good! I have one of those trimmers and love it. The battery lasts a long time for me to get all my bushes trimmed. I use to cut the cord on my old plug in one. i couldn’t read past the title- i was snort laughing too much. Beautiful privets! Ok…I’m with Cassie and still laughing! 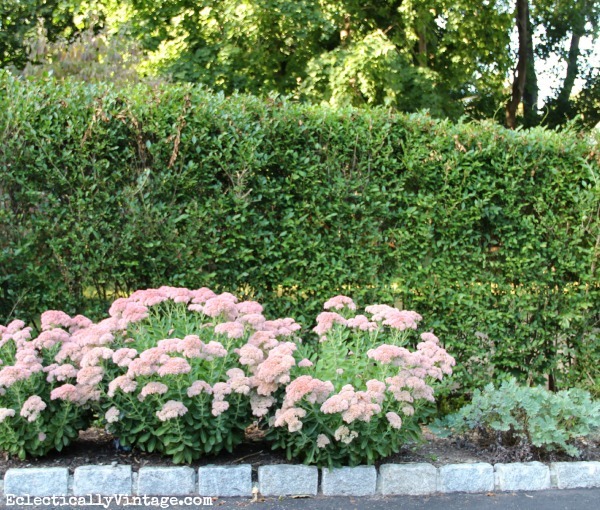 I don’t (yet) have any type of shrubs that require trimming, but will keep in mind for when I do. I love my Ryobi drill and circular saw! Love that it runs on a battery….will tell my hubby to check it out….he has a gas powered one and the small battery one would come in handy for me!.. At least, the pink cast and your nails are a good match. ps. If ya gotta have a cast on it might as well be a pretty one! 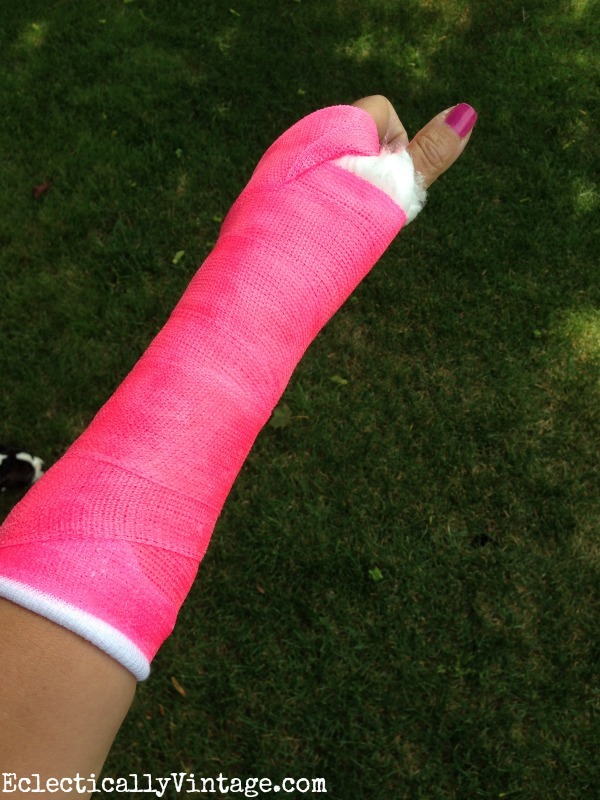 Very nice pink cast.Did you take the cast off?Hope you feel better and dont have any pain. Yes cast is off and I am on the mend!